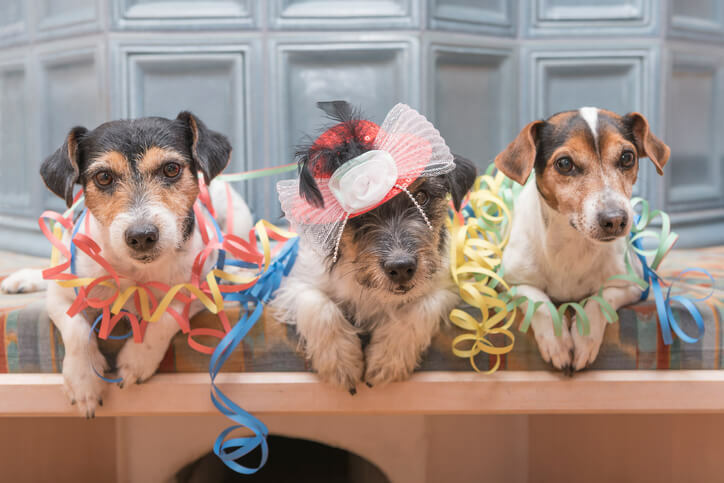 Opening your very own Camp Bow Wow location is an exciting endeavor — and you’ll want the community to be as delighted as you are that your Pack has come to town. That’s why it’s so important to throw your Camp a pawsome grand opening blowout to celebrate all of your hard work. But, not so fast! As a first time Camp owner, there are a few things you should know about planning your bash. First things first, decide on your budget. It’s easy to let your grand opening plans fall to the wayside with renovating your space, hiring employees, and getting ready to open your doors top of mind. However, creating a healthy budget to start doing business with a bang is essential to bring customers in the door from day one. Your grand opening doesn’t need to be an extravagant and expensive affair. We recommend that each Camp hosts an adoption event in conjunction with their grand opening. This way even community members who may not have a dog can still attend — and maybe even end up with a new family member! In addition, we recommend bringing in Scout, our Mascot, to greet attendees. Check out Camp Bow Wow Aurora’s 2015 doggy adoption grand opening sponsored by BringFido. As you can imagine, new pet parents were greeted with lots of floppy ears, wagging tails, and slobbery kisses on that fine day. A grand opening can’t be thrown together the week before you open your Camp. Make sure you leave yourself a minimum of two to three months for planning, to send out invitations, and to create promotional marketing for the event. When it comes to invitations, don’t forget to invite the media and opinion leaders in the community, and of course, all the pet lovers in the area. If people have a great time, which we know they will, this will help get the word out about how great your Camp is! People will be wagging their tails to get in on the action. Camp Bow Wow franchise openings tend to be covered favorably by the media. That’s why all franchise owners work with our public relations agency leading up to the big day. They’ll do all of the outreach to media outlets in local markets to build awareness for your Camp. Last but not least, you and your employees should enjoy the grand opening just as much as your guests do. Remember, it’s supposed to be a festive, social event for the whole Pack! As the largest doggy day care and boarding franchise in the U.S., Camp Bow Wow has over 140 locations and counting! So, if you’re looking to team up with a promising Pack, you’ve come to the right place. There are still plenty of unclaimed territories across North America with your name on them. For more information about our available markets, fill out the form below to receive your complimentary executive summary, or give us a call at 877-700-2275.